Creating great videos takes a lot of trial and error. There are a lot of technical aspects you have to make sure are just right. 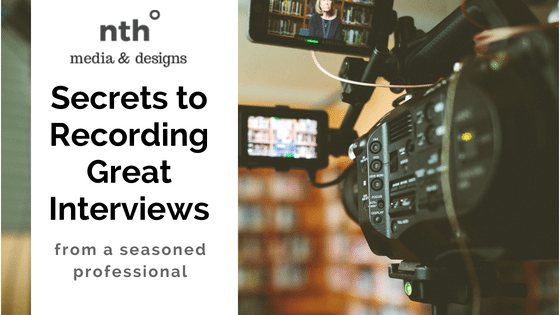 However, a lot of recording great interviews comes down to working with your subjects in advance and throughout the interview to help them be as prepared as possible and feel confident while on screen. 1 Take your time. Don’t rush the process. The more rushed you are, the less comfortable your subject will feel. 2 Make your subject feel comfortable. This includes being polite and friendly. One of the things that I’ve learned is that for many people, being interviewed and speaking on camera does not come naturally. Being on camera can make people nervous. The more you can do as a professional to make them feel at ease, the better your videos will turn out! 3 Avoid confirming what you are hearing. While in conversation, we typically validate what people are saying and show them we agree by saying, “Yes,” and “Mmmhmmm…” in an interview, you want to avoid this. It is only natural to want to get excited or agree with what someone is saying… but in the long run, it will make editing difficult for you and decrease the quality of your video output. Instead, work on using non-verbal cues (like facial expressions and body language) to show your subject you like what they’re saying. 4 Explain what you want your subjects to do. From making sure there’s a clean cut after the question and taking a break after they’ve flubbed, make sure your subjects understand to speak clearly and make pauses between statements. If you are not going to be in the final footage, make sure your subjects understand to include the point of the question or topic in their response. 5 If you are doing more than one interview, use the same questions for each subject. If each subject answers the same question, it will not only be easier to group them (or not group them), and the videos will appear more coherent as a whole. 6 Communicate with your subjects ahead of time. Let them know how much time they can expect it to take, the format of the interview, and give them pointers (even key words are helpful). Send them the questions or themes they will be responding to so they can be thinking about their answers. Having as much information as possible in advance will increase their comfort with being on video! 7 Do not be afraid to ask your subject to restate something! If they state something awkwardly, or they have a lot of “ums” in a statement, stop them! Say, “I’m sorry, that was so great… can please you say that again?” If they are on a roll, wait for them to finish and then ask them to repeat what they said. Either way, you can reassure them that the content will be edited in the final take. They may seem irritated in the moment, but when the final product is done, they will thank you (or they will definitely want to!). Your job is to make them look good and sound like they know what they are talking about. 8 Make sure you and your interviewee meet the requirements. 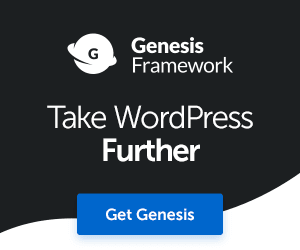 If you are conducting your interview via the web, whether recording it or broadcasting live, find out the minimum requirements of your video conferencing platform and make sure your equipment and connection meet them. Share these with your subject so you have the best quality output possible! 9 Say cheese! Be sure and get a great shot of your subject smiling. When you are editing and uploading your videos later, and as you create content with them down the road, you will be happy you got their grin. Trust me. 10 Have fun! Whatever project you are working on, don’t stress about the final product! Work in the moment and enjoy what you are doing. Your subjects will respond positively and it will help them feel more relaxed. Now, go forth and get some great interviews!